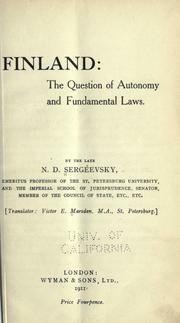 1 edition of Finland:t he question of autonomy and fundamental laws found in the catalog. Add another edition? Published 1911 by Wyman & sons, ltd. in London .